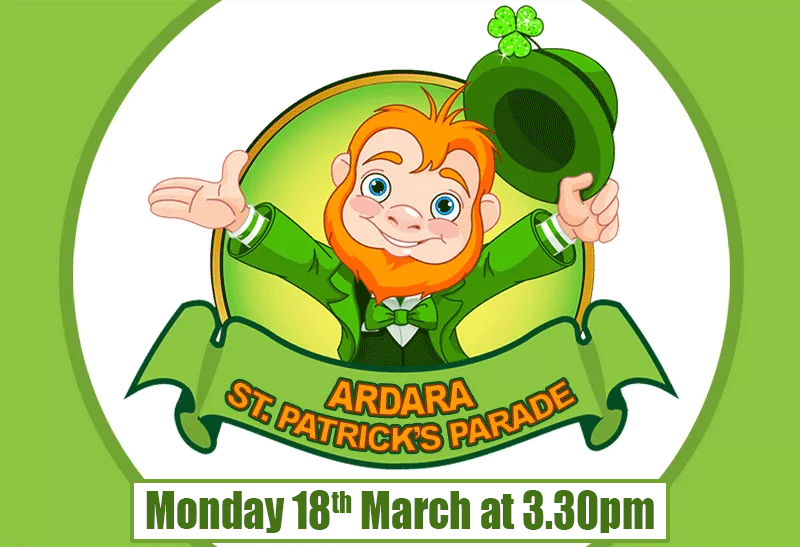 The St. Patrick’s Parade takes place on Monday 18th March. The Parade begins at 3.30pm from the Church Car Park and all participants are asked to be there before 3pm. Shop Window Display: The Cup for the best window display is up for grabs this year again. All shops are asked to put a feature display in the windows for St Patrick’s weekend. 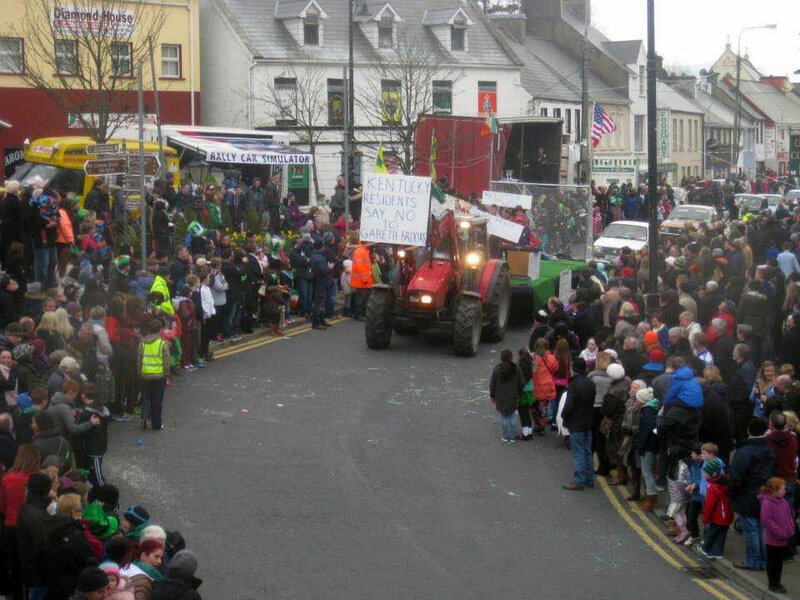 Floats for the Parade: A big final shout out to all who can to please support this great parade with a float. This is one of the best parades in the County, and the fun and quality of our floats are famous, so please keep up the tradition with a float in this year’s Parade. For more information contact Margaret Boyle on 087 2023033.